"Celebrating Jon Lord - At The Royal Albert Hall", the forthcoming DVD, Blu-ray and CD due this fall, will premiere at all German UCI cinemas on August 25th. A trailer for the cinema premiere can be seen below, and full details are available here. Due September 26th, the original event was a tribute concert to honor the late Deep Purple keyboardist’s life and work. 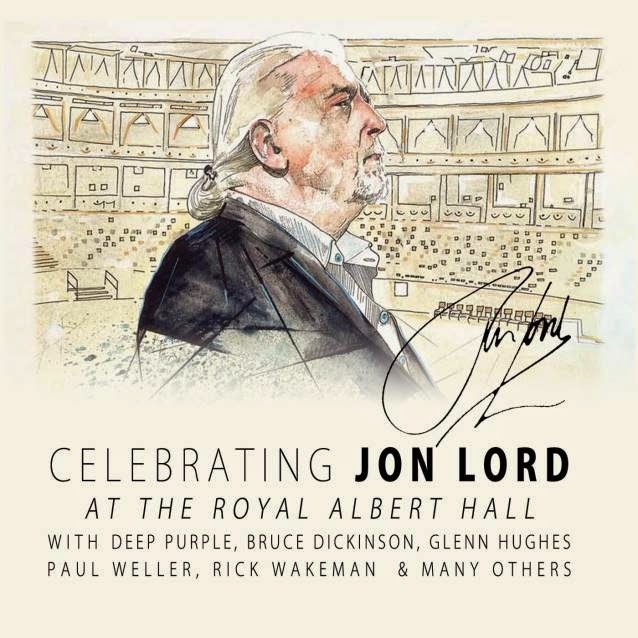 The tribute featured rock legends including Deep Purple members Ian Gillan, Ian Paice, Roger Glover, Don Airey and Steve Morse, Iron Maiden’s Bruce Dickinson, Glenn Hughes, Rick Wakeman, Micky Moody, Joe Brown and Alfie Boe.